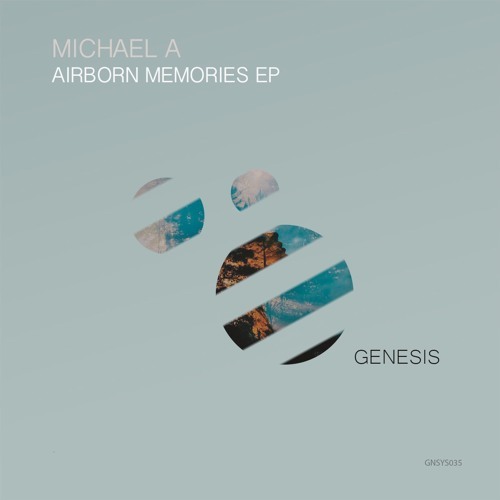 The latest release on Genesis Music finds label boss Michael A back on his home imprint with a brand new four track EP. Based out of Belarus, Michael remains one of the underground’s most in demand progressive house artists. Continually played and supported by Hernan Cattaneo, Nick Warren, Guy J and Guy Mantzur the future holds much promise for Michael and he’s delivered some of his best ever work here. Beginning with ‘Feed’ Michael explores deeper grooves and dubbed out tones. It’s something we’ve been hearing a bit more from him lately. His Clubsonica single was an interesting change from the progressive state of mind and ‘Feed’ seems like the ideal piece to get this EP underway. The break foreshadows the atmospheric brilliance to come and puts you in a meditative state moving forward. ‘Airborn Memories’ picks up the tempo quite a bit and with some growling synths there’s a meaner edge to it. Michael’s classic rhythmic qualities shine here with a groove perfectly dialled for modern progressive floors. The ethereal gates are a lovely touch and a massive, cinematic break builds to a boil with sheets of noise bringing the beats back for one of the biggest moments on the EP. Massive one from Michael. Moving on to the third selection ‘Re-Form’ finds Michael at his absolute best and not surprisingly it’s also been the most popular amongst DJs thus far. It’s intricate designs are a sonic delight and a band of clattering drums melds perfectly with the tripped out surroundings. It’s doesn’t go for the kill like ‘Airborn Memories’ rather opting for a hazy flow and subtle thematic shifts to deliver an amazing experience. The EP concludes with ‘Winter Forest’ which is a return to deep bassy textures and effortless atmospheric drifts. A waning vocal and jangly riff are the highlights, the latter of which brings a gorgeous mood to the break and carries on its unpredictable path through an emotive conclusion, with layered beats and subtle hypnotics keeping your attention locked. This feels like a proper artist EP in a way, it’s all loosely based around the progressive spectrum but with enough variance to please a lot of people along the way. Definitely Michael A’s strongest collection of music to date and one that should find its way into a lot of boxes. Don’t miss it.